BSSi2’s greatest assets are its employees and its clients. It is the personalities and technical skills of our staff that keep you, the client, happy and your network running. See what some of our clients say about BSSi2. BSSi2 has built a relationship that feels like a true partnership. We cannot afford a full time IT staff; but as an Architecture firm we have significant IT infrastructure that we depend on. BSSi2 is there to support and advise us with a deep understanding of our infrastructure and its importance to our operation. As importantly, they advise us on future upgrades and opportunities with our interests in mind. They understand and honor their importance to our operations. BSSi2 developed a genuine understanding of their role in the success of our firm. If we require “hair on fire” support, they are responsive, calm and exceedingly capable. They have worked with us through some challenging situations. They also provide honest advice and guidance on network architecture. We know we are getting advice that is premised on our needs and not their revenue goals. They are trusted advisors in our IT planning and decision making; we feel we are getting the benefit of their expertise, not being leveraged because of it. You need to be able to trust the people that you are getting advice from about critical areas of your business. They are integral to our successful operation; BSSi2 enjoys our trust and confidence. Week after week, we receive images, PDFs, Excel files and Word documents from clients. A project I start, someone else will finish – or vice versa. But we work remotely, so for years we passed files back and forth and stored different versions on our respective computers. It was inefficient. It was a nuisance when you needed a file from a coworker who was out of reach for a few hours. And because we didn’t consistently back up our working files, there was the potential for disaster, too. In the spring of 2016, during a business development group meeting, I made an offhand remark to Scott Bernstein about all the emails my remote team sends to each other. He asked a few questions. Then he told me about Anchor, a tool for file sharing and cloud storage. He assured me it was mindlessly-easy to use, secure, and would solve our problem. Scott was right. Within minutes of the installation of Anchor, our world changed. No more emails with attachments; we all have access to all files. No more loading of files on a USB before I leave town; I have access to our shared drive on my laptop. And with our files backed up in the cloud 24/7, I now have peace of mind. Anchor has been invaluable, but Scott and his team are essential to our ongoing operations. They respond quickly when we have an urgency; they explain what needs to be done in laypeople's terms; and reliability and security are always part of the solution. BSSI has provided me with end-to-end IT solutions for over 25 years. In an increasingly changing technology environment they have always taken the time to understand the needs of my business and provide solid support and advice from all things hardware and software related. In all that time I have never experienced any disruption to my business which is a testament to their comprehensive understanding and recommendations for my real estate management and development business. If you want to sleep well at night knowing that your systems are sufficiently backed up and well supported in the event of a problem you cannot have a better third party IT consulting firm than BSSI2. If you’re looking for an IT firm give BSSi2 your business. Honestly, I’ve been spoiled and never had to deal with anyone else, and I wouldn’t want to! They provide personalized service in a very timely manner. As we all know, problems do not arise on a scheduled basis, but rather when you least expect them. The BSSi2 team is quick with timely attentiveness to any IT problems which have popped up. Their performance has exceeded that of any prior IT providers by virtue of their technician’s quick response, whether it be remotely or if necessary on site. Both the management and the staff of BSSI2 are extremely attentive, and proactive to potential problems associated with our specific systems. 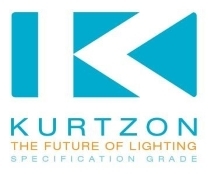 Kurtzon Lighting has been in my family for over 100 years, so having vendors we can trust and partner with is something we take very seriously. BSSi2 has been one of our top vendors for over 10 years, and we never have to worry if our digital infrastructure is being monitored and protected. That is something I do not take for granted, as I have had other companies promise the same services, but were not able to deliver. They are the professionals we trust when it comes to managing our server data, cloud backup and all technology we use at Kurtzon. Their “hands on” approach to our needs makes me feel more comfortable if I have to be away from Chicago for an extended period of time. On site visits, daily and weekly updates on ongoing projects, and accessibility to our dedicated manager are just a few of the reasons why I look forward to continuing our partnership into the future. Kurtzon is a growing company but we do not want to hire a full time IT Manager. BSSi2 has always been there to take care of our IT needs as if we had an in-house person. We realize this saves us at least $10,000 a year. Add to that the depth they have with multiple people available to provide support and we know we are better served with their services than with an in-house person. I would not hesitate to recommend BSSi2 to any of my friends or colleagues. You can’t beat integrity, reliability and honesty and that is exactly what you get with BSSI2! They give us peace of mind so that we don’t have to worry about outside attacks and know we’re protected during and outside of office hours. BSSi2 is reliable, they're always respond very quickly. While our previous network support company did a fair job of supporting us, they were not proactive in their work. When we met with Scott Bernstein of BSSi2, he told us one of the services he strongly recommends to his clients is regular ongoing preventive maintenance. We knew we had found the right company for us. The biggest benefit we’ve seen in working with BSSi2 is the peace of mind we have knowing they are looking out for our best interest. We have been impressed with their knowledge and thorough approach to proactively maintaining our system. They are very responsive to our inquiries. This allows us to concentrate on our core business. They are also on top of technology changes and new services. When we needed a new backup solution with disaster recovery, they had the answer. Interested in cloud services? They can help with that too. In talking with other CPA firms, I have found we are on top of our technology needs and BSSi2 has helped guide us in the past and towards the future. I highly recommend Scott Bernstein and BSSi2 for network support and maintenance. BSSi2 brings us peace of mind. Juniper Advisory is a small company so we don’t need a full-time IT Manager, and since we’re definitely not IT buffs, knowing that professionals are a call away is very reassuring. You will be in good hands with BSSi2. They have a team of professionals and a system in place that is extremely supportive and efficient with a quick response time (their remote capabilities are extremely helpful and efficient). You never have to worry that things aren’t being taken care of. They are proactive and will keep you in the loop of any updates and make you aware of any foreseen issues. Even when you don’t hear from them, you know they are continuously monitoring behind the scenes so that you are able to focus on your work and not stress. We definitely consider BSSi2 part of our team. I just wanted to send you a note thanking you and your team for all you have done for us. As you know, we are just a small Wellness Center who had used several IT companies over the years before contacting you. Their short-comings in service and response-time did not serve us well. This became obvious when we learned that our server and entire network was infected with multiple viruses because no one had ever installed virus protection on our server. That’s when I called you. BSSi2 is light years ahead of those other IT companies. The day I called BSSi2, you and your technician spent some time learning who we were, what various software was installed on our system, and then the tech went to work cleaning up our server, our network, and our all our computers. You and the tech were able to save all our data (especially our patient data), all our installed software, and basically saved our company from disaster. Since that time, your company has provided excellent and timely advice on everything from suitable hardware and software to installation, networking and troubleshooting. Your expert service is fast, reliable and offers great value for the money. I just want you know that I have recommended BSSi2 to my friends and colleagues because of your service, value, and the peace of mind you provide. I have been working with Nick Espinosa since 1994 when he was just 15 years old. We’ve always received excellent service from Nick when he was a one-man show and now that he has the whole team of BSSi2 behind him service is even better. Easy to work with and friendly, BSSi2’s hardworking staff explains IT issues in a language that a novice can understand – which helps us to make the right hardware and software decisions for our environment. Anytime we have an issue BSSi2 has responded to us within the hour (most times sooner). BSSi2 is knowledgeable about the needs of our accounting business and understands the workings of our hardware and software - insuring that we have a secure and up-to-date environment. BSSi2 is the only IT company that made me feel 100% comfortable - they aren’t pushy and they stand by their work. Responsive and trustworthy, BSSi2 always takes time to understand our needs. Don't be shortsighted. You may find a less expensive option initially, but BSSi2 creates an efficient, secure and scalable system. Had we gone with another firm, there's a reasonable chance that we would have outgrown that system by now. As a business owner operating in a highly regulated industry, BSSi2 puts us at ease with their level of professionalism and integrity. I have known Scott Bernstein for over 40 years. He is person I have trusted all that time, as a good friend and now as my IT support company. When I started M Brown & Associates, I had no idea what I needed in a computer system. I turned to Scott because I knew he would advise me on what equipment would be appropriate for my situation. He took care of everything for me and all at a fair price. He kept me informed and up to date on the job. He had everything working and ready to go on schedule. At my previous company, our system was always crashing, slow, and unreliable and the IT person was not very responsive. None of that has been the case with BSSi2. My staff that were with me at my previous company are amazed at what a real IT company can do. They like the techs from BSSi2. They are all professional and do what they say the will. Part of our business involves buying and selling stocks. We manage over 150 million dollars and handle HIPAA information as well. Due to state and federal rules and regulations, we must continually be in full compliance with all requirements pertaining to security and retention of critical data. Scott has made sure we are compliant with these requirements. We have never failed a security audit, our system is proactively maintained and BSSi2 is there when we need them. BSSi2 is reliable and responsive to my ever changing needs. After meeting with over 20 different service companies in the Chicago area we chose BSSi2. Their CIO and Chief Security Fanatic, Nick Espinosa, is the most knowledgeable computer intellect that I have met. Nick and the whole team at BSSi2 provides us with expert knowledge and direction for our future needs in regards to security and backups. The Society of Gynecologic Oncology (SGO) has utilized BSSi2’s services since 2007. Working with BSSi2 has provided our small-staff organization seamless information technology administration and a great business partner! These days it is refreshing to celebrate such a transparent, fair and logical business relationship. No hard sell, accurate billing, service is timely and friendly with little to no operating disruption. What more can you ask for? How about anticipating our needs? BSSi2 really understands our business – because they ask us! What are we trying to achieve strategically? How are we leveraging IT to ensure we achieve our mission? It is fair to say that we have accomplished much as a small organization because our sound IT investment planning keeps us nimble amongst our larger competition. We rely on BSSi2. They allow us the ability to focus our efforts on eradicating women’s cancer. BSSi2 provides prompt dependable service whenever we have a problem. Our firm and its various iterations have been with Scott Bernstein for over 25 years. He provides us solutions we need and consistently work; he does not attempt to oversell us. We trust in his integrity and the solutions he provides to us. They know our system and our needs. They do a great job at diagnosing problems and can resolve most problems remotely, avoiding unneeded costs. The same technician works with us 9 times out of 10, alleviating learning time. Give BSSi2 a try - you won’t be disappointed! I had met you many times over the last few years at CPA networking events and the other members were always talked highly about your services. So I contacted your firm BSSi2 when I was not able to get my Word documents to open up and my computer was running very slow. Also I mentioned to you I already had another person try and get me back up and running. You said someone would contact me right away and it seemed like less than a minute later a technician was on the phone. They connected up with my computer remotely and then took the helm to figure out what was causing the problem with my Word documents opening. What they did was really study the problem and use what I call that special technical instinct that only a few possess to find out what was really happening. The technician found out that my main Word doc in the system was corrupted and every time they fixed it, this Word doc it had a life of its own and corrupted itself all over again. So They dug deeper and found out I had a virus that was causing the problem. They got rid of the virus. Next they tuned my computer so it ran even ran faster and it did what it actually was to do. I thought they would have control of my computer all day but was able to fix the problem in less than 1 1/2 hours. About a week later to I received a call from the technician just making sure every thing was working properly and no new problems have occurred. What I liked was their follow-up and questions making sure that I was really happy and if any problems did occur I now even felt more comfortable call them back. I just want you to know that I will recommend BSSi2 to my colleagues because of your caring and responsive service. Lexington Homes is a premier home builder in the Chicago area. When we needed a new computer system in 2007, BSSi2 was recommended by one of our sister companies, who also use BSSi2. They designed, configured, installed and support our network. As the corporate controller, I want to focus on the accounting and operations of Lexington Homes. We have outsourced all our computing needs to BSSi2 and feel it was a very wise decision. Fortunately, there are very few issues, which is a testament to a well-designed system and properly executed installation. We have found BSSi2 to always be very responsive to our support needs in a professional and competent manner. They have a high degree of expertise and Scott has resources for other services if they are not part of BSSi2 services. We have come to rely on BSSi2 and his staff as a business partner, not just a computer support company. What is refreshing is they are very personable, easy to talk to and they explain issues and solutions in plain terms; they do not speak “geek”. It is the peace of mind that we have knowing our computer issues will be handled in a timely, efficient manner that I highly recommend you talk to Scott at BSSi2. BSSi2 provides excellent IT service and peace of mind at a reasonable cost. There is not a weak link on the BSSi2 team! Each member of the team I work with has been successful in resolving issues quickly. Transition is the most daunting part of switching IT providers, and they handled that exceptionally well. I am glad we made the shift to the BSSI2 team. Give them a call, you will be glad you did. I’ve worked with many of BSSi2’s service staff over the years and they all are polite, professional and knowledgeable. I know that if I have an issue or need something added to my network, they are the people to go to. They’ve never failed to get what I needed done. BSSi2 is a company I trust. BSSi2 has been there 24/7 no matter what difficulties, big or small, we have experienced. This is something I do not have to worry about from day to day because I know an IT specialist will always be there to handle each situation whether is it a big problem or a small problem. The offsite server backup service they provide lets me rest easy at night knowing my data is secure. I’ve never worked with anyone else nor do I plan to! BSSi2 knows how to keep our company current with technology. Scott is excellent at listening to our needs and limitations, then informing us of options. When it comes to solving computer issues Scott and his team have a simple mission: fix it. There are never any excuses for addressing a problem, and, most importantly, their honesty in working with us has enabled a harmonious relationship. BSSI2 gets it right in two critical areas, planning and problem solving. BSSi2 is pro-active in letting me know what problems we may face in the near future and the best way to handle that particular problem before it becomes a major issue. They look out for our IT needs and respect our budget at the same time. When a problem does arise, and they will, their staff will work until the problem is fixed to our satisfaction and will follow up to make sure everything is back to functioning normally. We had an instance where the technician worked over the weekend to resolve our issues and make sure that our emails were working properly for Monday morning — that is dedication and very much appreciated! I have known and worked with Scott Bernstein for over 25 years. His firms have always been there to support us and we will continue to work with BSSi2. I have had the pleasure to work with BSSi2 since 2005. In that time we have gone through 2 server installs and several software installations/conversions. The staff at BSSi2 is knowledgeable, responsive, consistent and committed to their field. Their newsletter and email blasts give you concise, useful information. I always find helpful tips that not only apply to business applications but personal use as well. Scott Bernstein’s accounting background is an extra added bonus in facilitating business practice through computer use. The deciding factor to sign on with BSSi2 was their honest, straight-forward approach in handling our computer and business environment. Scott - I want to extend a thank you to you and the BSSi2 team who produce the newsletter Innovations. I take a business idea from each issue and love how I can go onto your site and access all articles. What a great resource! My team looks forward to our meetings and open discussions. These have a great deal of value.